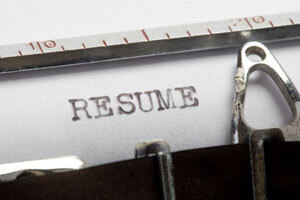 A résumé is a complicated document, with lots of things to cram into relatively little space. Given the constraints, many tech pros tend to focus on the nuts and bolts of their accomplishments—how quickly they developed and launched a new app, for example, or how much they improved bottom-line revenues for a particular division. And those things are great! However, many résumé writers accidentally hobble their chances of landing a job—and they don’t even realize what they’re doing wrong, or how to fix it. Simply put, they’re not using power verbs (also known as “action verbs”). Power verbs pump energy into your résumé. They convey the muscularity and vigor of your actions. When you consider that your average hiring manager must read through a tide of résumés every day, that sort of verbiage might give you a slim and necessary advantage, making your words “pop” amidst a gray sea of standard-issue phrases. For a more complete breakdown of action verbs, Dice has a nifty interactive resource that offers verbs by category (“Leadership,” “Creativity/Innovation,” “Management/Supervisory,” and so on). Check it out the next time you’re sitting down to polish your application materials (if you can integrate “steered” into your accomplishments, you definitely will win our undying respect). And don’t forget to visit our resources about résumé writing and cover letter writing. With weaker terms replaced by stronger ones, your résumé will really stand out.